In the collective unconscious, chess is considered a curiosity, both complex and fascinating, primarily intended to an elite. The legendary match Bobby Fischer vs Boris Spassky ( the first taking the title of World Champion after 48 years of Soviet supremacy ), because of its wide media coverage related to the symbol representing the EAST-WEST confrontation during the Cold War, has been instrumental in forging an intellectual image of the game by placing it on a pedestal. It was in 1972 ! If the vocation of chess is to symbolize the political systems that govern us, then it is time to bring it up to date, that of globalization, alliances, interbreeding and cultural mixtures. If, on the contrary, its purpose is to be a game and a tool for education then it is time to bring the perception that one has to the reality of its practice, from its summit in imagination to the streets, but better to schools and clubs. 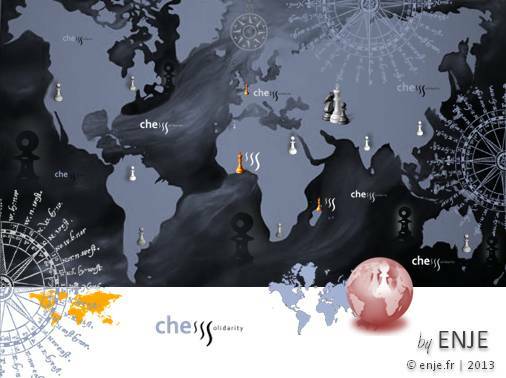 In 2012 , 40 years after the clash of symbols, teaching chess in schools is sweeping across the planet. It is not a coincidence! Indeed, the pedagogical qualities of chess are recognized. • Desire to win and self-control. • Mathematical logic and analytical mind. Today, chess is not, or is no longer the symbol of the opposition, opposites and fighting. It is Harlequin who lives in each of us, as defined by the philosopher Michel Serres in the Tiers Instruit. It has become a metaphor for the crossing of knowledge and the acceptance of each other. Today, the chess player is no more the character imagined by Stefan Zweig ( which symbolizes the opposition between Nazism and Humanism ). This is often a retiree who plays with his little son, children, adults or two after work, opponents of all races, faiths, social position, who shake hands before playing. There is something more than chess about chess. We decide to add a S.
Not only because chess is multiple. The third S will stand for Solidarity. 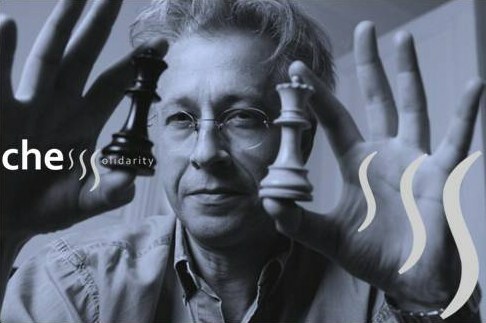 The purpose of the ChessSolidarity program is to give a hand to those who have very little and sometimes nothing at all.